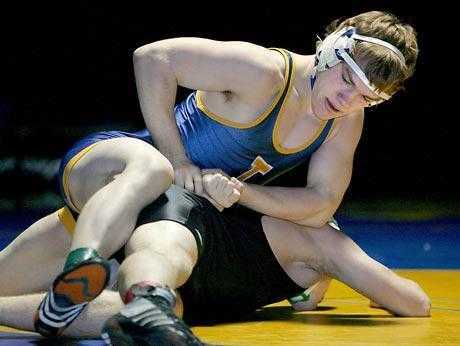 Ted won Tahoma's second individual state championship with a win at 158 pounds. Lang won Tahoma's third individual state championship, with a win at 135 pounds. Seen here with Coach Russ Hayden, Ricky was Tahoma's first three-time state champion. He is also Tahoma's only four time state placer taking a 3rd in state his freshman year. He compiled an overall record of 119-6 while wrestling for the Bears. His first championship was 108 pounds in 1990. In 1991, Christian won the championship at 122 pounds. His third title came at 128 pounds in 1992. Ricky is currently coaching wrestling in Idaho. Jens won both of his state titles at 135 pounds. Pulver wrestled for Highline Community College where he became an "All American" by placing at the NJCAA National Tournament. 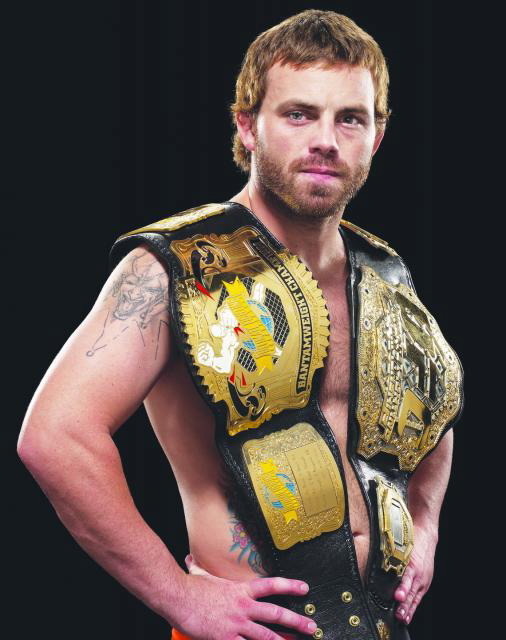 Jens went on to wrestle at Boise State University prior to becoming a UFC superstar. Pulver began competing in the UFC in September 1999. He fought four times in the UFC before gaining a title shot against top ranked Japanese Fighter Caol Uno in February 2001. Pulver won the title, by unanimous decision, becoming the very first UFC World Lightweight Champion. As a senior, when Willy “The Law” Sheriff took the mat he did just that: laid down the law. The powerful, yet undersized, heavyweight took on all comers in the 95 season in route to a state title as well as a reputation for being the muscle behind a Tahoma team that placed 3rd in the AA class that season. His work ethic, second to none both in the room and out, paved the way for Tahoma’s success. Sometimes being outweighed by as much as 50 lbs., Willy showed that it isn’t the size of the dog in the fight, but the size of the fight in the dog that counts. Zhon won three state titles and compiled a 102-2 record in three seasons. He won the 4A title at 141 pounds in 1998, after winning at 3A 148 in 1997 and 3A 135 in 1996. Dennis Maxon keeps his promises. After being eliminated from the state tournament on the first day without placing his junior year, he made a promise to coach Higa that he would come back the next year focused and serious enough to win state. That determination paid off a year later when Dennis found himself standing atop the state podium triumphant and champion of the 148 lb. weight class. His toughness and heart also inspired the team to push harder; that year the Bears also won a team title with Dennis as Captain. Ryan was a returning state placer when he captured his state title at 171 pounds in 2002. Ryan currently lives in Maple Valley, where he owns and operates his own construction company. ndrew was Tahoma's 3rd wrestler to win three state championships. Andrews first championship came in 2005 after an undefeated season at 145 pounds. Andrew then went on to win two consecutive championships at 152 pounds in 2006 and 2007. Andrew had an impressive high school record of 99-2. Kevin recovered from a broken back his freshman year to win a state title at 119 pounds his junior year in 2007. Kevin was the state runner up in 2008. Kevin was a triple threat: A great student with a 3.9 GPA, a leader, and a warrior on the mat. In 2008, Nick won the 160 pound weight class in dramatic fashion. Down by a point, Nick was able to secure a takedown with just two seconds left in the match. In 2009 Nick walked through the competition at 171 pounds securing his second state championship. In 2010, Nick accomplished his goals becoming the 4th Tahoma Bear to win 3 state titles. Nick easily defended his title at 189 pounds. His overall record for his four years as a Bear was 140-17. In his first trip to the state tournament, John beat three of the top seeds in the tournament on his way to the state title at 145 pounds. Buban's had to dip into his gas tank as he won the title in double overtime against University's Ryan Zumwalt. In his first trip to the Tacoma Dome, Steven pinned a returning state champion and national champion in the finals at 103 Pounds. Tyler Lamb became the schools 3rd 4-Time State Placer with his state championship at 140 Pounds. At 12 years old Tyler set the goal of becoming a state champion and his hard work and determination paid off.